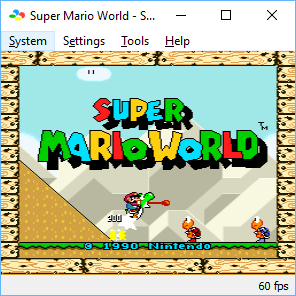 Compared to the original bsnes GUI, bsnes-plus features several improvements to the debugging and memory editing windows, as well as numerous emulation improvements from later versions of bsnes. See the GitHub project page here for a full list of features, and instructions for building on non-Windows platforms. In addition, bsnes-plus now features near-full support for Satellaview/BS-X games. This download includes both 32-bit and 64-bit builds (with both “compatibility” and “accuracy” profiles supported for 64-bit users). The 64-bit build is of the latest version v04, while the 32-bit build is from version v073+3a, the last 32-bit release.